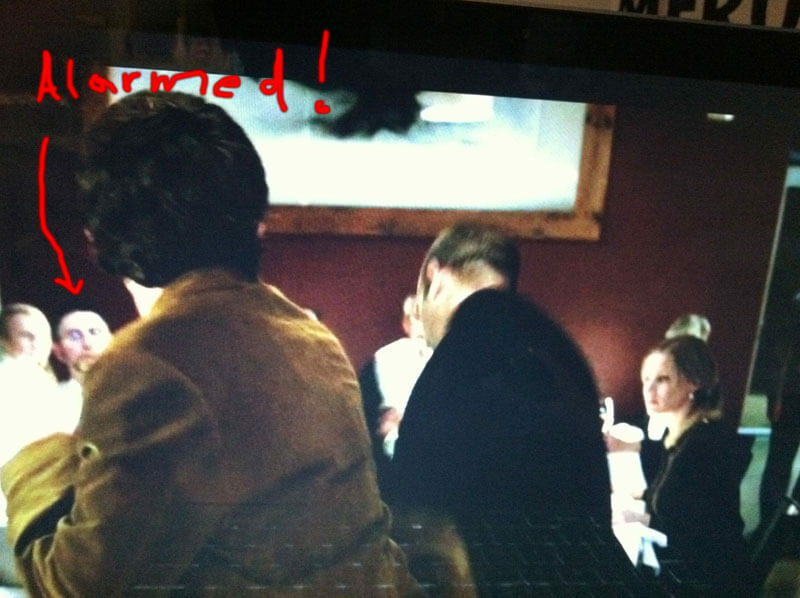 My star turn as an extra on Grimm, captured via awkward photos taken of my computer screen with my phone because screen captures of video isn’t allowed by mean old Apple. 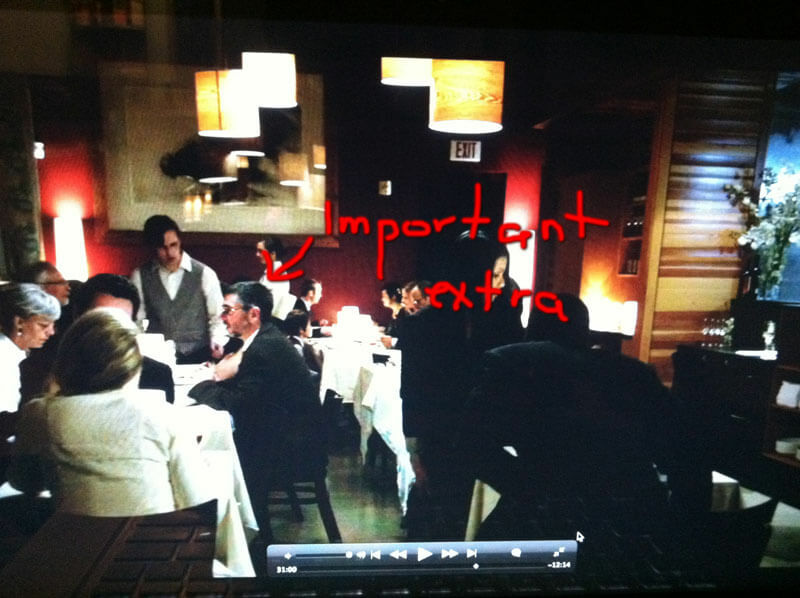 I am an important extra. I am alarmed by fighting! That’s not my real head. 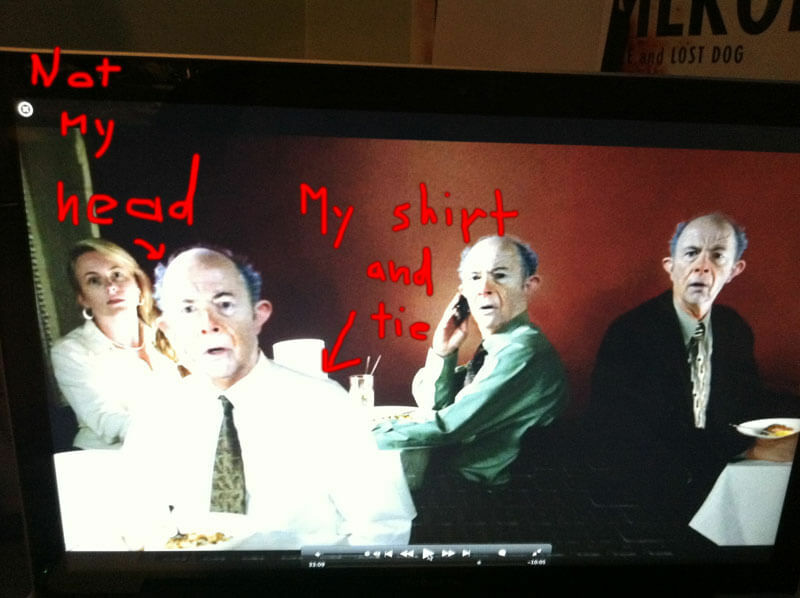 But it is my real shirt and tie.